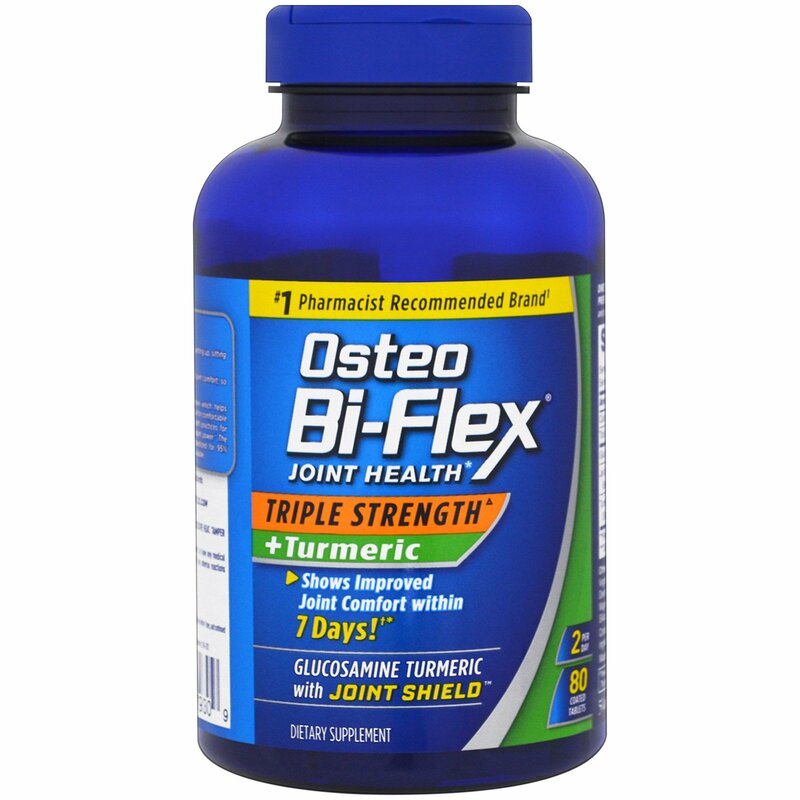 Osteo Bi-Flex Triple Strength + Turmeric contains glucosamine which helps strengthen joints while helping to maintain joint cartilage essential for comfortable joint movement. 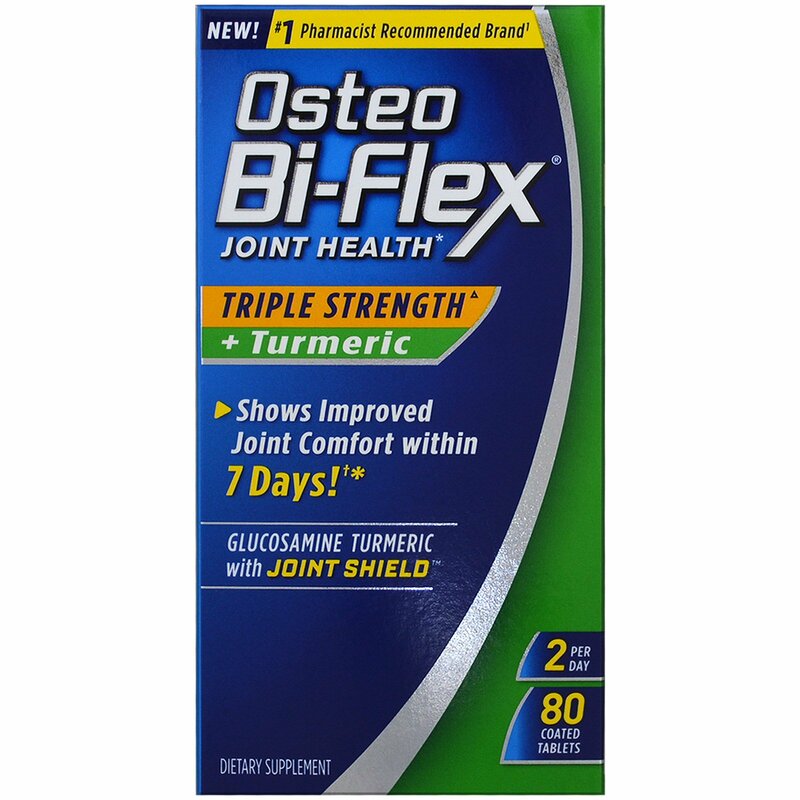 Turmeric has been a staple of traditional health practices for centuries. The Curcumin in Turmeric is what gives it its antioxidant power. The Turmeric in our product is specifically designed to be standardized for 95% Curcuminoids to provide the most optimal levels of Curcumin available. ²Based on Nielsen data for the 52 weeks ending June 25, 2016. Directions for adult use: Take two (2) tablets per day preferably with food. As a reminder, discuss the supplements and medications you take with your health care providers. Cellulose (plant origin), crospovidone. vegetable stearic acid. 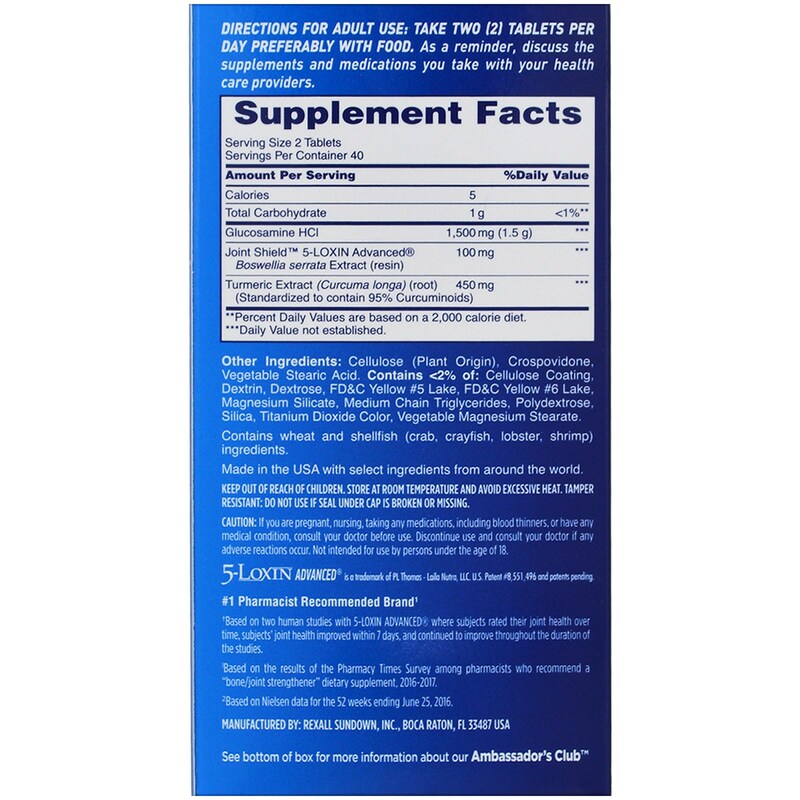 Contains <2% of: Cellulose coating, dextrin, dextrose, fd&c yellow #5 lake, fd&c yellow #6 lake, magnesium silicate, medium chain triglycerides, polydextrose, silica, titanium dioxide color, vegetable magnesium stearate. Contains wheat and shellfish (crab, crayfish, lobster, shrimp) ingredients. If you are pregnant, nursing, taking any medications, including blood thinners, or have any medical condition, consult your doctor before use. Discontinue use and consult your doctor if any adverse reactions occur. Not intended for use by persons under the age of 18.